Africa’s air forces aircraft are quite rare outside their continent. When one of those services owns only few planes, a picture of one of its aircraft has a certain value for aviation spotters and enthusiasts. For this reason I find the following picture, taken by The Aviationist’s contributor Tony Lovelock, on Apr. 24, 2012, extremely interesting: it shows a Casa 295, serial no. 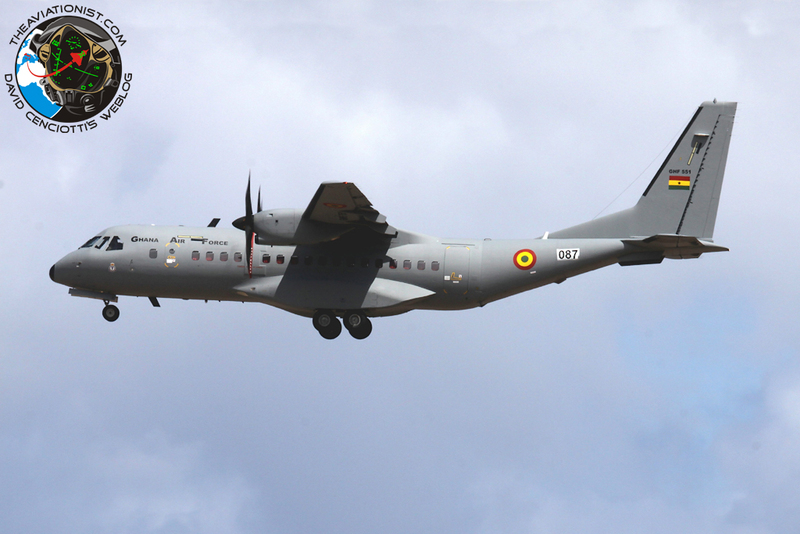 GHF-551, belonging to the Ghana Air Force on final at Gando, Gran Canaria, where it landed for a fuel stop on its delivery flight to Ghana.